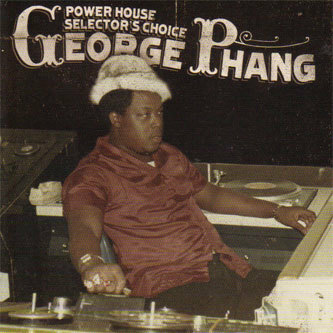 VP records drop a wickedly heavy selection of cuts from the catalogue of Power House records producer George Phang full to the brim with 28 hits from his dancehall heyday. Phang moved through the ranks of Jamaican dancehall reggae producers, spending time around the systems of Sir Coxsone and picking up studio skills working inside Channel One with close friend Robbie Dunbar. This relationship with one half of the Riddim Twins lead to a fruitful relationship in the 80's dancehall era, working with Sly & Robbie in the studio to produce a powerfully punchy and heavyweight sound for MC's like Yellowman's 'Galong Galong Galong', Half Pint's 'Greetings', Sugar Minott 'Feel the Rydim', Tenor Saw's 'Lone Ranger and Tonto' and a slew of distinct classics from Michael Palmer, Barrington Levy and Josey Wales. The relaionship between Phang and the Riddim Twins was one the most dynamic and productive in Dancehall and this compilation is highly recommended to any heads tracking the development of this era. Big!